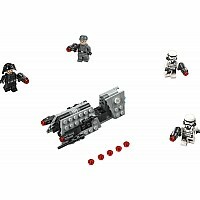 Enforce the Galactic Empire's will with this Imperial Patrol Battle Pack. Help the Recruitment Officer sign up new soldiers to strengthen the Imperial Army. Work with the Emigration Officer to banish unwanted citizens with the help of the Patrol Troopers and their speeder. 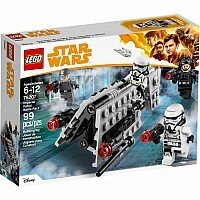 With this imposing battle pack, order WILL be restored to the galaxy! 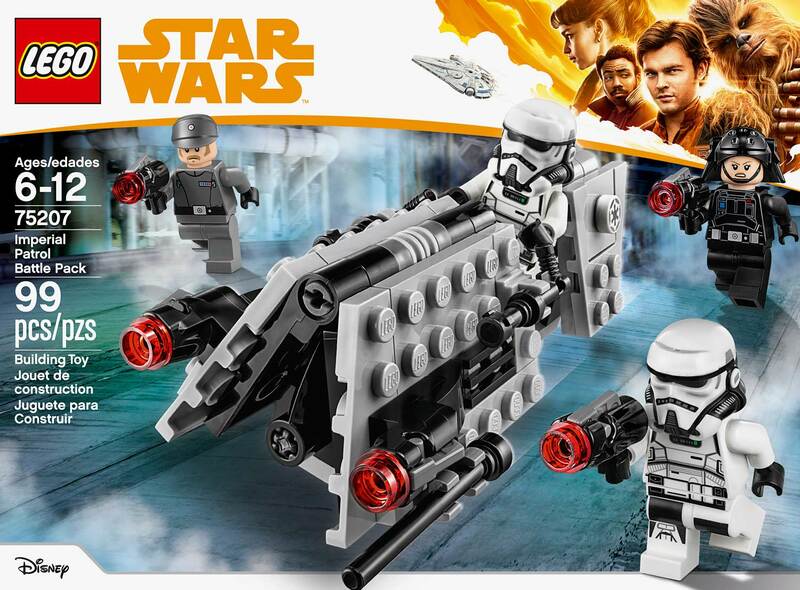 Includes 4 minifigures: an Imperial Recruitment Officer, Imperial Emigration Officer and 2 Imperial Patrol Troopers. 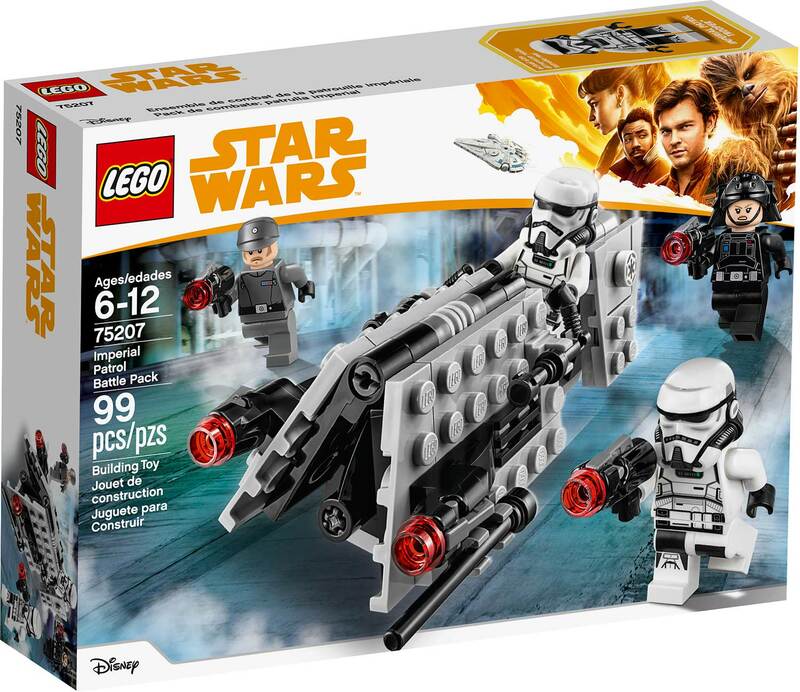 Features a speeder with a minifigure seat and 2 stud shooters. 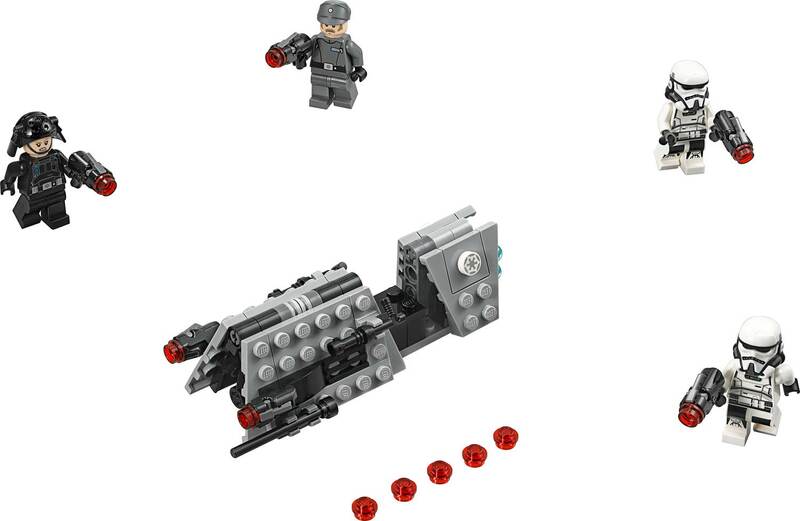 Also includes 4 stud blasters for the minifigures. 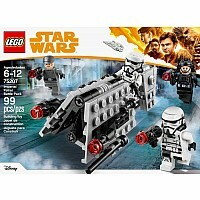 This LEGO Star Wars toy is suitable for ages 6-12. Speeder measures over 1" (3cm) high, 5" (13cm) long and 1" (5cm) wide. Recommended for ages : 6 to 12. Measures approximately: 7.52 x 5.55 x 1.81 inches..